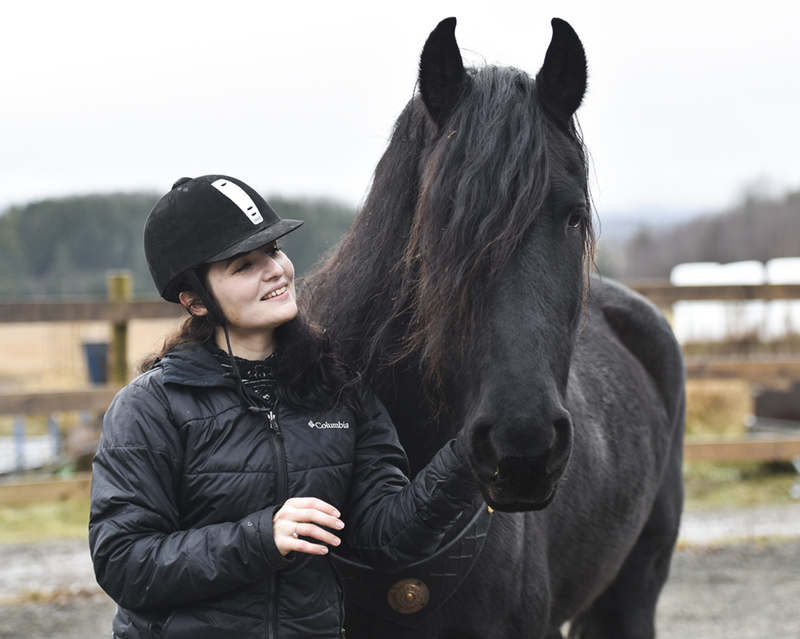 A while ago I found an Instagram account out of the ordinary; Yulia Frolova aka Equi Geo had a goal to ride one horse in every country she visited. I immediately started following her adventures, so many amazing photos from so many interesting countries! 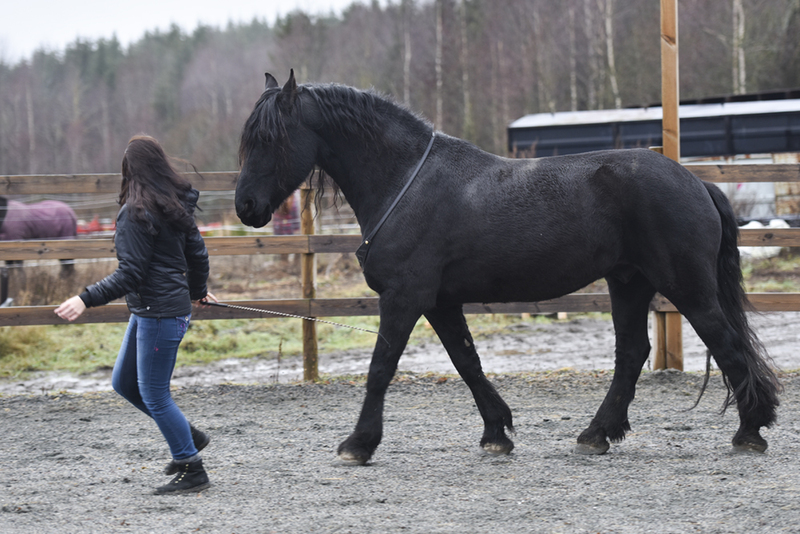 It was fascinating to get a look into a completely different world of horses. 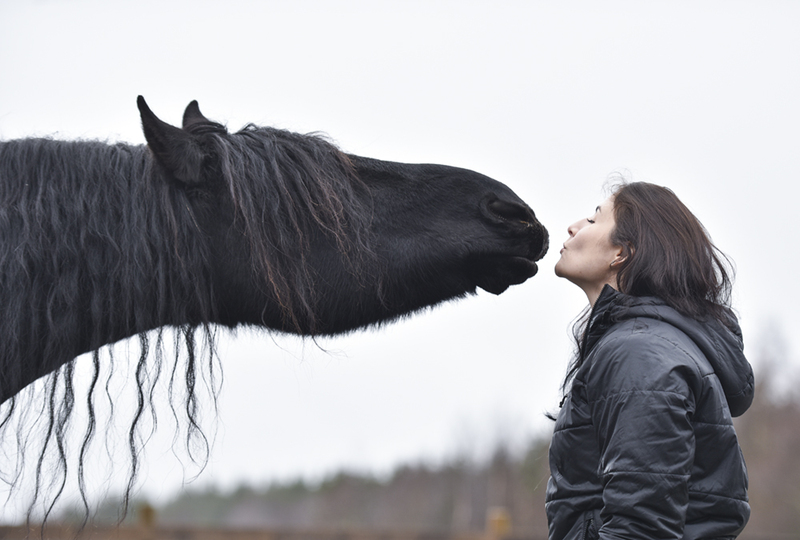 I have traveled a bit myself, and so far I have ridden horses in Norway, Sweden, Denmark, Egypt, Brazil and Spain, plus a camel in UAE, but that does not count, I guess. On my bucket list right now is Iceland, which I will visit later this year. I can’t wait! Last fall I saw a post in my feed that immediately caught my attention .. The Norwegian flag! A rare sight in my Instagram-feed, haha. 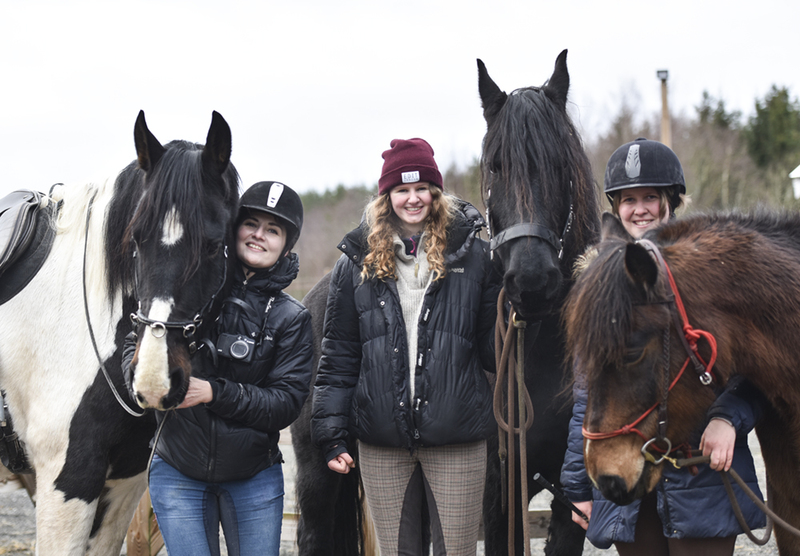 Yulia was looking for a place to ride in Norway! 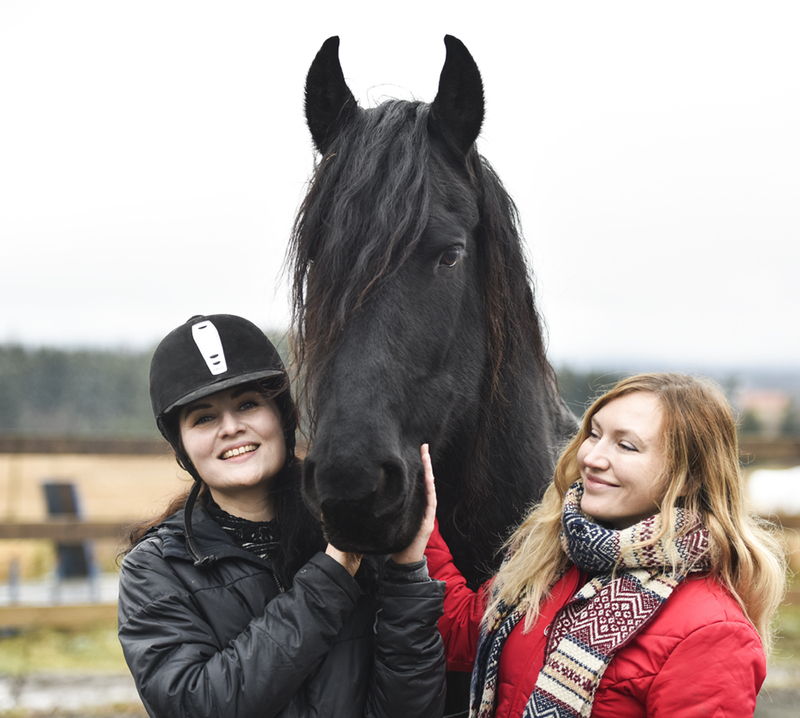 I immediately sent her a message, and of course Yulia ended up visiting me and the coolest Friesian in the world. ;) Norway is Yulia’s number 33! 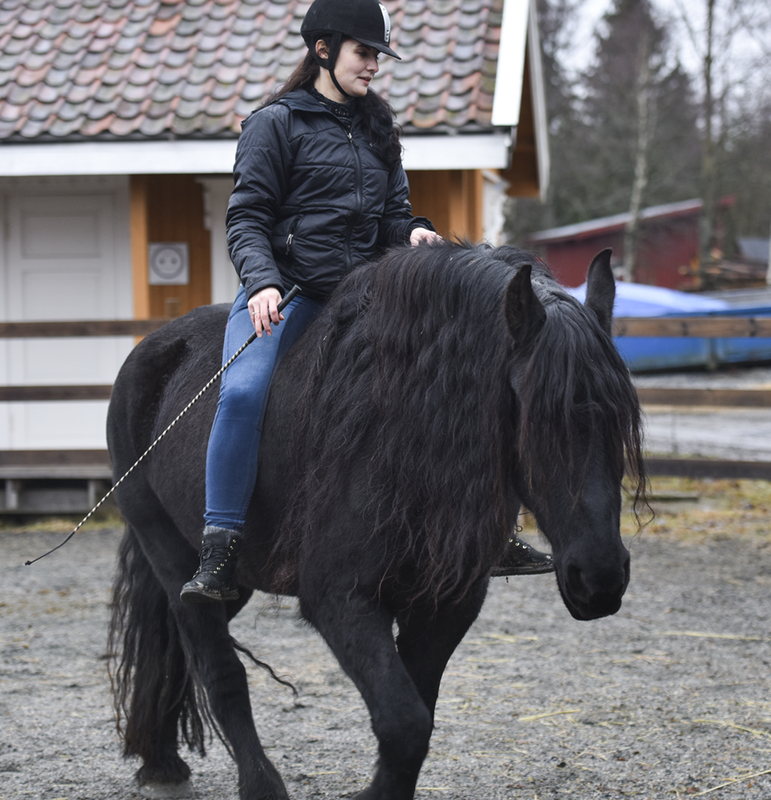 So far she has also ridden horses in UAE, Ukraine, Kazakhstan, Jordan, Singapore, Czech Republic, USA, Qatar, Morocco, Turkey, Sweden, Finland, Poland, Saudi Arabia, Vatican, Italy, Azerbaijan, Armenia, Georgia, France, Oman, Austria, Germany, Kyrgyzstan, Russia, Iraq, Belgium, Spain, Iran, Lebanon, Netherlands, Iceland and Egypt. That’s quite impressive! Because of that list, I was not afraid to meet up with Yulia. I mean, a girl that has been able to make friends in so many different countries must be simply AWESOME to spend time with, haha! 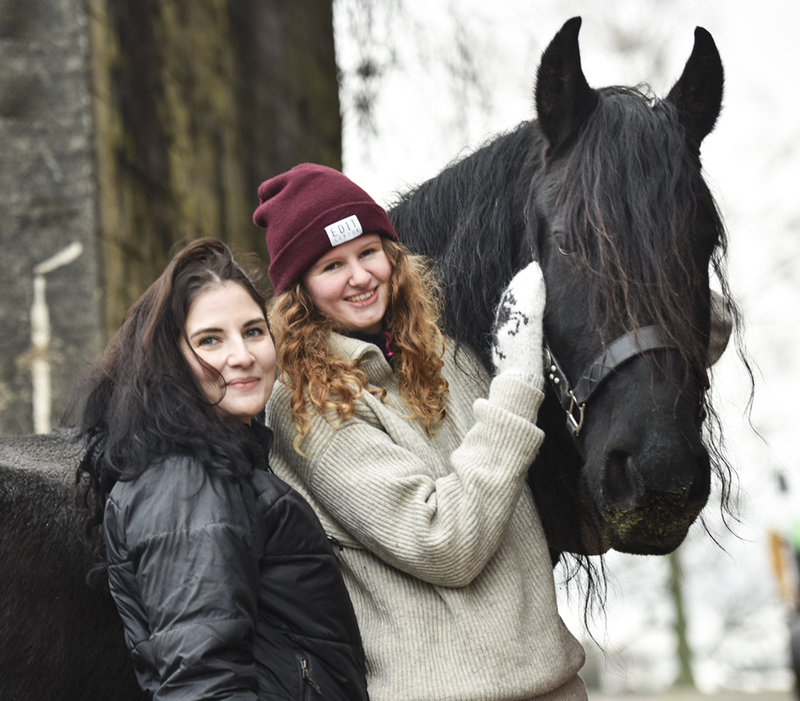 I met Yulia and her friend Katya at Oslo Central Station, and took the train towards the stable together with them a chilly morning in December. This was actually my first proper Instagram-meetup! The train ride was lovely and we had a great time! 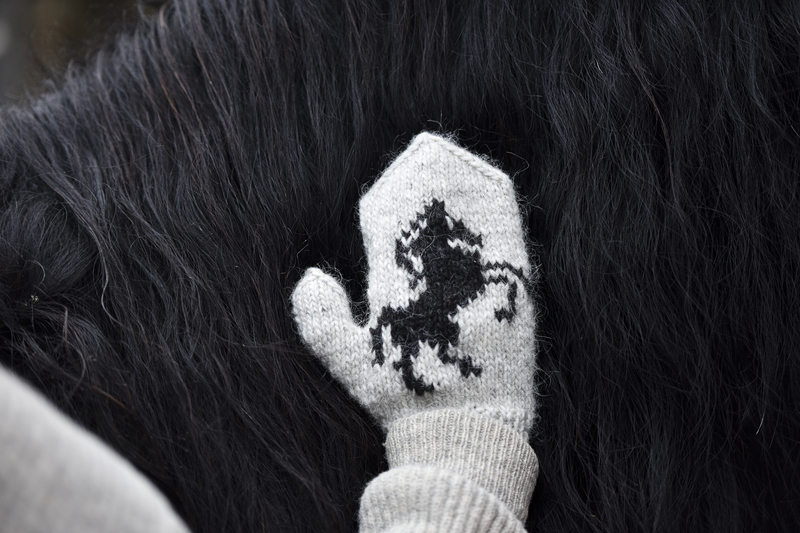 Yulia and Katya had even made me a gorgeous pair of Batman-mittens, and they were absolutely gorgeous! I’m so grateful! 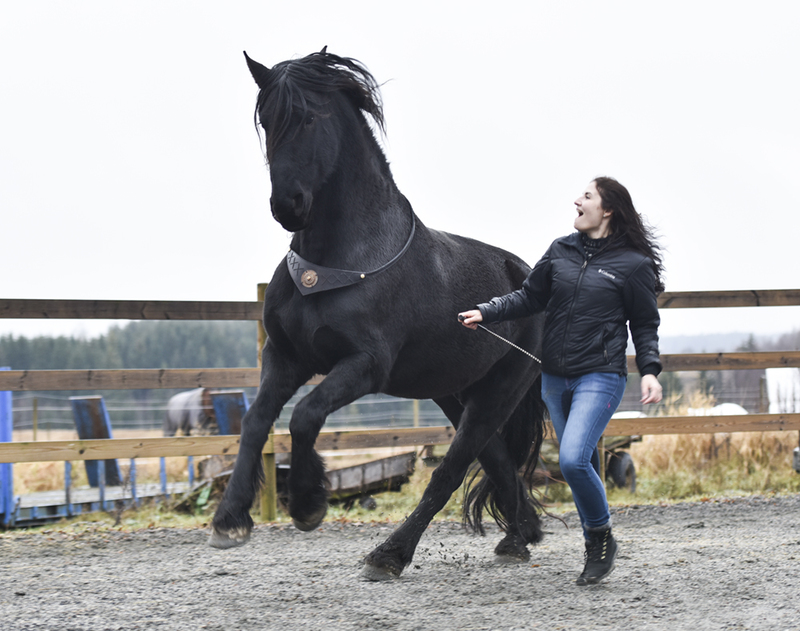 When we arrived at the stable, Yulia got to play with Batman and do some tricks and try liberty. They did great and Batman was a gentleman as always. What a horse! 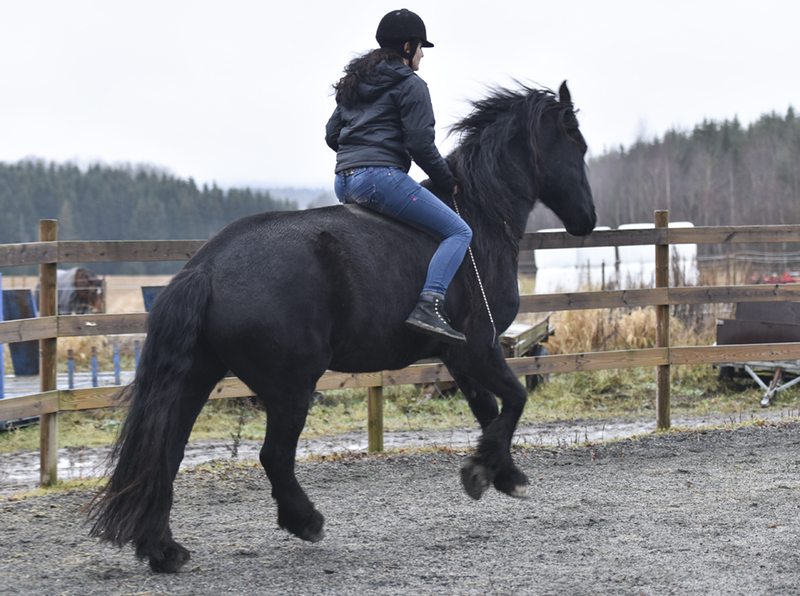 He offered trot and even a couple of steps in calm canter and seemed to have a blast! 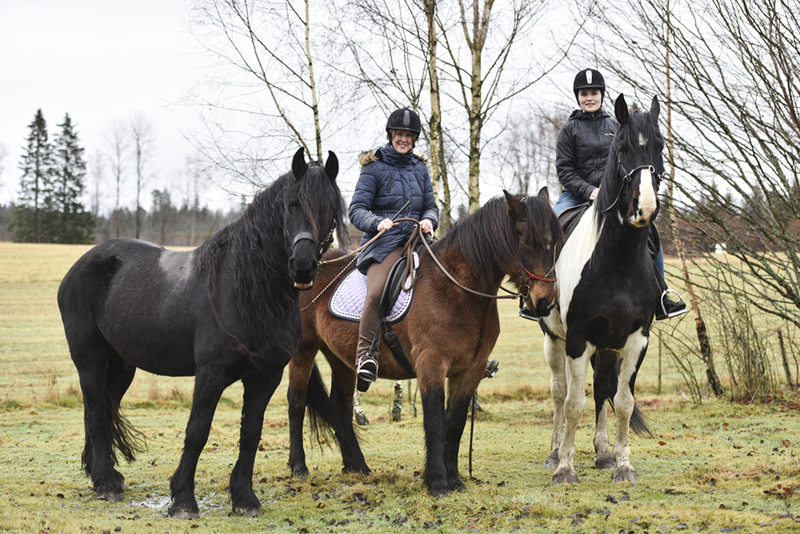 After that, I gave Yulia a “learn to ride bridleless in 15 minutes”-lesson. That’s a huge challenge, it takes years to ride a horse like Batman with the seat only, and I still struggle some days. Yulia did an excellent job with Batman, and listened very well to my advice. I was so proud of them both! Superteam! 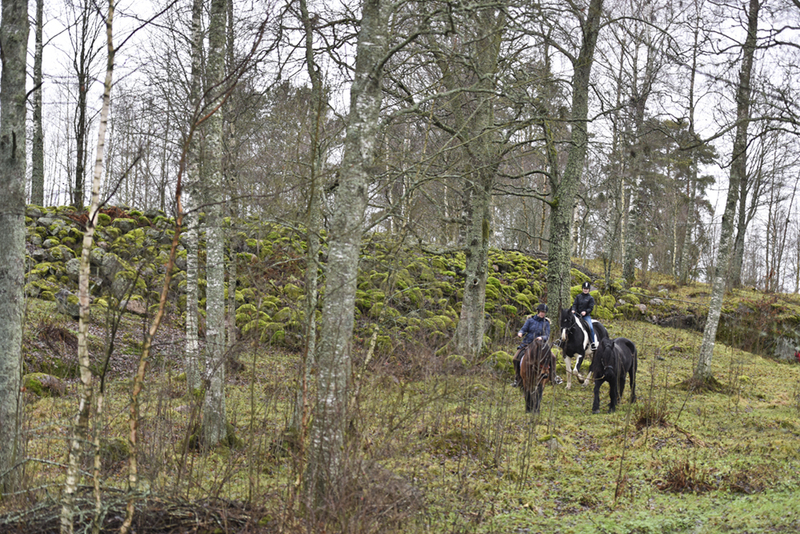 After our little session in the round pen, my friend Linn let Yulia go for a ride on Takawi. 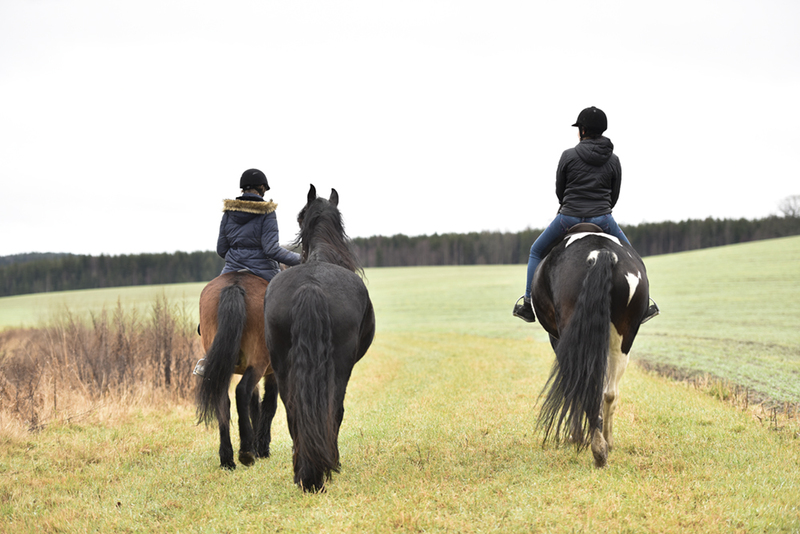 Linn rode her other horse, and Batman joined the party too, while I followed on foot to take photos. The ride went great too – Takawi is a gentle giraffe and took good care of his traveling companion! Thank you so much for an amazing day Yulia, I will never forget this experience! Hopefully we will meet again, and I’m looking forward to continue following her journey on Instagram.